Cook Street Village is no longer the street’s most lucrative locale. Scheduled to complete Fall 2018 from the team at Abstract Developments, is a new concept in modern living: Black & White, an instant classic with a contemporary, gravity-defying design at the crosshairs of Cook and Upper Fort. With thoughtful layouts and state-of-the-art interiors, Black & White’s 75 suites are as impressive as its staggered, black-and-white brick façade. 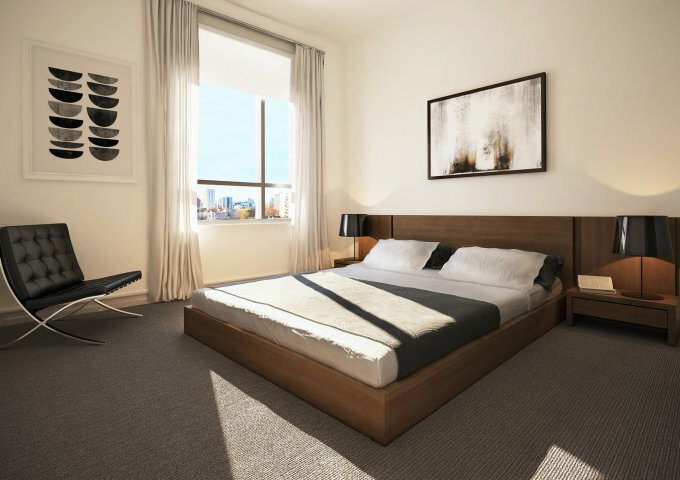 Beginning at 504-square-feet and $279,900, the suites include junior, one- and two-bedrooms, and nine premium penthouses. 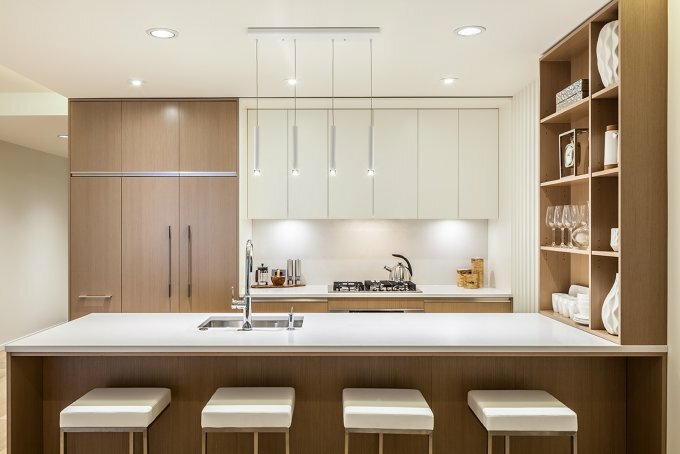 All suites feature chef-worthy kitchens with quartz countertops and high-end appliances. 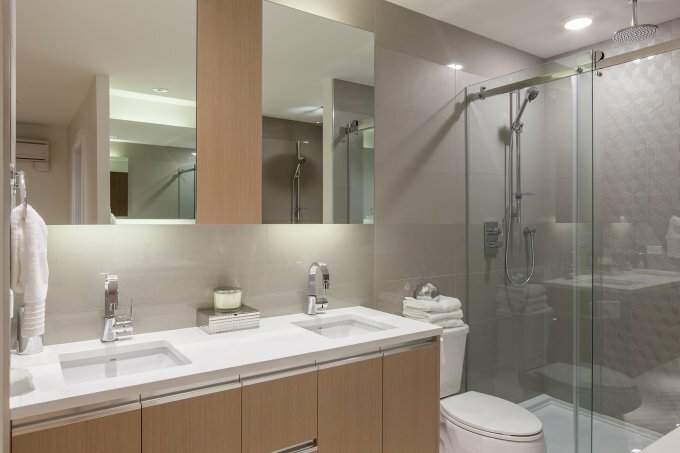 Spa-inspired bathrooms are finished with rain-spout alcove showers and ensuite in-floor radiant heating, while sleeping and living havens contrast light and dark for harmony and balance. 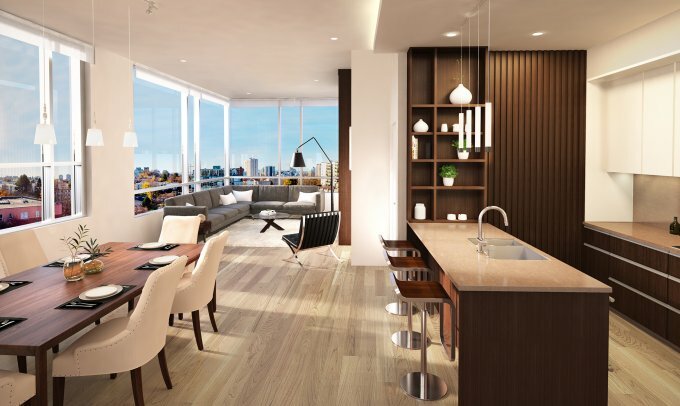 With its luxury approach to everyday living, Abstract is offering a taste of the finer things in life with Black & White Concierge – personalized services ranging from personal assistants to an on-call sommelier and chef. “We wanted to offer our buyers the services they’re looking for and create partnerships with the local service providers we’ve worked with in the past,” says Mike Miller, president of Abstract Developments. 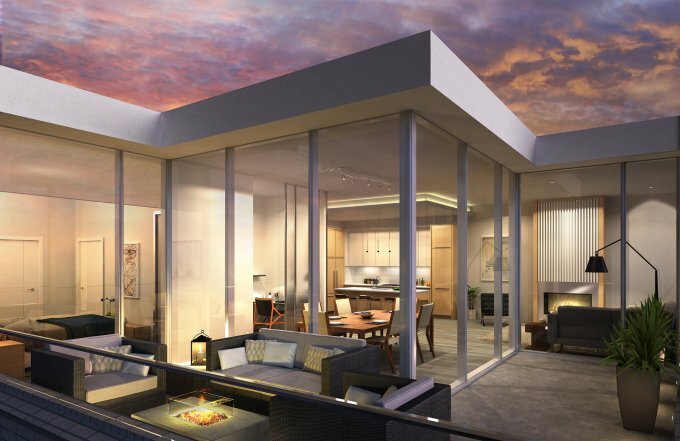 Amenities are no less impressive with a two-story outdoor space, carved into the southwest corner of Black & White and overlooking the tree-lined streetscape, featuring a fire pit and barbeque for late summer nights with friends or brisk fall afternoons with a book. With low-profile adjacent buildings, the space is exposed to ample sunlight and fresh air. Black & White’s mixed-use street level provides endless opportunities for local businesses with 9,000-square-feet of two-story space, while its Upper Fort location boasts a Walk Score® of 96, just steps from the neighborhood’s hottest yoga studios and gyms, up-and-coming restaurants and most-loved cafés. “We think the location is unique,” Miller says, “because the neighborhood feels so local, but is so close to downtown.” Prefer to drive? Borrow Black & White’s electric car, or park yours in its artfully finished 83-stall parkade – as with all Abstract developments, no detail goes overlooked.